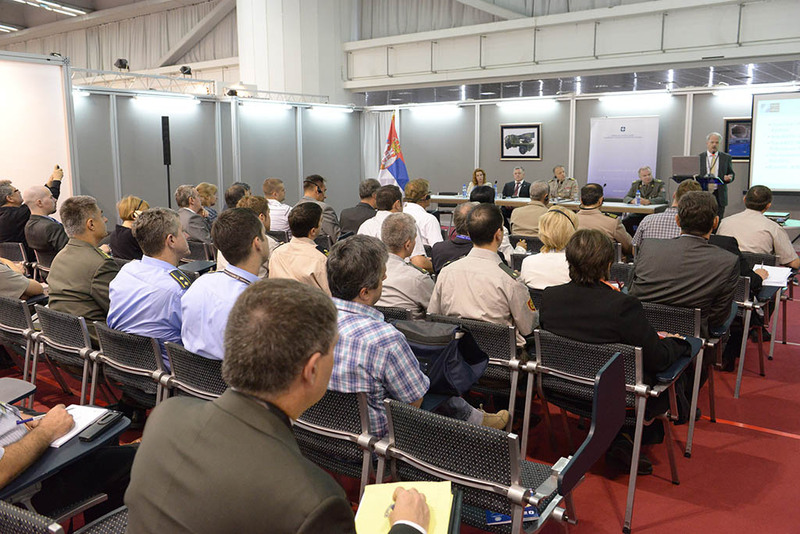 As part of Fair of arms and military equipment PARTNER, on 27th June 2013 a workshop "Benefits of using NATO codification system" was held, which was attended by more than hundred representatives of the Ministry of Defense, Serbian Army, and by the Serbian Defense Industry Companies. The workshop was implemented by Directorate of Standardization, Codification and Metrology, Sector for Material Resources together with representatives of NATO Support Agency (NSPA). After opening of the workshop by Director of the Directorate Colonel Zoran Spasojevic, opening presentations was implemented by Chief of the Codification Services Branch NSPA, Mr. Steven Arnett, by Codification Officer AC/135, Co-operative Logistics Programme André Felten and by Lt. Col. Vladimir Bukvic Chief of the Standardization and Codification group. The main objective of the workshop was to interest defense industry, enterprises and companies to join the NATO codification system and our economy got a better chance of marketing their products. On that way our products will be visible in major database (NMCRL), where today are more than 17 million codified products, 2.5 million registered suppliers who have their own code. All this will facilitate the sale of Serbian products on NATO and European market. It was noted that Serbia has been fulfilled requirements for admission to a higher level of sponsored membership (Tier-2), as a non-NATO country, what should happen to the Second World Codification Forum on 06th November 2013 in Copenhagen.